Thread: [Notice] Utah's Farm Events! Utah's got some work that needs to be done around his farm, so help him fight off pests, herd cattle, and more in these*Utah's Farm events! Participating in these events will earn you*Utah Points—every 100 Utah Points will*convert into 1 Utah Coin, and these coins*can be used to purchase fun rewards from Utah's Coin*Shop! *You can earn a maximum of 15,000 Utah*Points*per day. Once you've cleared out the Amber Waves for the day, you'll be able to hunt in Auntie Anna's Amber Waves to acquire extra EXP! After completing the task for the day you'll earn*120\% additional EXP for 30 minutes. Protect Gustav's cattle from wolves in Gustav's Cattle Ranch! Characters Lv. 61 and up can play by talking to NPC Gustav in Utah's Cluck, Cluck, Bean Farm map and accepting the quest '[Cluck, Cluck, Bean] Gustav's Cattle Ranch'. The number of wolves that you need to eliminate and the amount of coins earned by eliminating all of them changes according to the character's level at the time of entering. A golden bell will also appear in the Cattle's Ranch at certain times - you can ring this bell to activate a special skill that will help fend off the wolves. If a party enters the Cattle's Ranch, each character will be assigned their own wolves to deal with; the effects of any party buff skills used in the Cattle Ranch will be shared among all characters on the map. *You can accept the Cattle Ranch quest once a day per world, and characters who accept the quest can freely go into the Cattle Ranch map at any time until the date rolls over to the next day. The number of eliminated wolves will remain until the date changes. Take off into the grassy fields of Utah Farm in*Extreme Combine! Characters Lv. 61 and up can play by talking to NPC Comborghini in Utah's Cluck, Cluck, Bean Farm map. *In this mini-game, you'll speed through the field in a combine tractor while avoiding scarecrow obstacles using the left and right directional keys. *The farther you go without crashing into a scarecrow, the faster the combine gets and the more Utah Points*you earn per second! Play reversi Utah-style in*Cluck, Cluck, Bean Reverse! Characters Lv. 61 and up can play by talking*to NPC Garden Variety Bean in Utah's Cluck, Cluck, Bean Farm map. If you don't place a piece during the turn's time limit, a dedicated NPC will automatically play it for you. However, you won't earn Utah Points*when this happens. *If the NPC automatically plays for you 3 or more times, you won't earn Utah Points*even if the game is completed. *If you exit in the middle of a game, you won't be able to play Cluck, Cluck, Bean Reverse for 15 minutes. Jewel Craft is a system where you combine jewels of the same rank to turn them into a higher-ranked jewel, or fuse a jewel with a Jewel Craft Ring to create a Jewel Ring. Characters*Lv. 61 and above*can perform Jewel Craft through NPC Magic Jeweler's Mortar in Utah's Cluck, Cluck, Bean Farm map. *You can purchase the Jewel Craft Ring and Magical Jewel Box from NPC Camila in Utah's Coin Shop. Using the Magical Jewel Box will reward you a jewel with a rank between C - A. 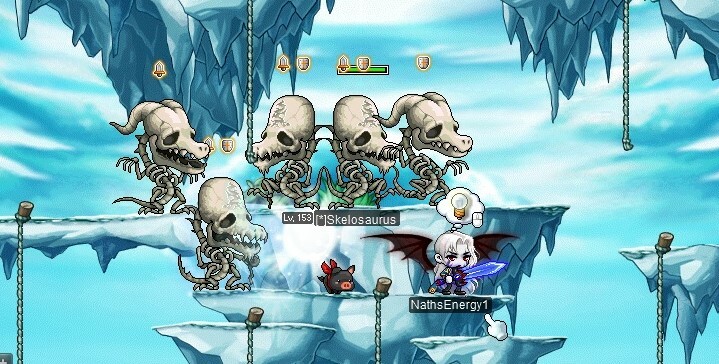 *Jewels have 4 different ranks (C - S) for each stat, and you must pay the appropriate amount of mesos to perform combinations for higher-ranked jewels. You can acquire higher-ranked jewels by successfully combining jewels. 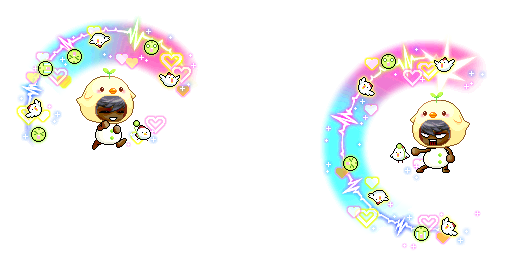 *Craft any 4 of the S-rank jewel rings and take them to the Wee Moon Bunny NPC, where you can pay mesos to trade 4 rings for 1 SS-rank Master Jewel Ring. *SS-rank Master Jewel Rings cannot be enhanced with scrolls or Star Force, but you can imbue potentials. *You can use jewels and jewel rings that you had from before for jewel crafting. NOTE: There is an issue with this event that is preventing players from claiming rewards. We are looking into this and will provide an update as soon as possible. Earn daily rewards in*Utah's Bountiful Harvest! Characters Lv. 61 and up can participate by accepting*the '[Cluck, Cluck, Bean] Utah's Bountiful Harvest' quest from the star notifier on the left side of the screen, and then clicking on the Attendance Check notifier that appears within the star notifier. 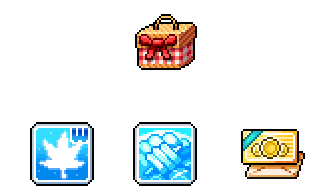 Players can then hunt 200 monsters within their level range (20 levels below and 20 levels above) once every day per world to receive that day's Bountiful Harvest Gift Box. 2x EXP Coupon (15 min): Untradeable, 7-day duration. Lunar Delight:*Untradeable, 7-day duration. *Gives Weapon ATT/Magic ATT +30 for 15 min. Utah Coin Coupon (x10):*Untradeable, 7-day duration. Characters Lv. 61 and above can receive a*Cluck, Cluck Bean Festival Box*by accepting*and completing the quest '[Cluck, Cluck, Bean] Utah's Bumper Crop Gift'! Cluckhead Coupon:*Can be transferred within world. *7-day duration. Cluckbottom Coupon:*Can be transferred within world. *7-day duration. Cluck, Cluck, Bean Coupon:*Can be transferred within world. *7-day duration. Utah Coin Coupon (x100):*Untradeable, 7-day duration. Gather fruit by hunting monsters in*Fruitful Bounty! Characters Lv. 61 and up can play but accepting*the '[Cluck, Cluck, Bean] Fruitful Bounty' quest through the star notifier or NPC Utah in Utah's Cluck, Cluck, Bean Farm map. When you accept the quest you'll obtain a Fruit Basket. You can place the Fruit Basket in a location of your choice in a map where there are monsters within your level range (20 levels below and 20 levels above). *When you set up the Fruit Basket, you'll see the number of apples, pears, and grapes you need on the top of the screen. 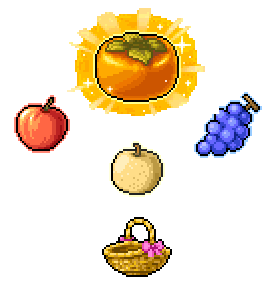 Hunt monsters*within your level range*to obtain apples, pears, grapes, and persimmons. When you've collected all of the required fruit, go to the Fruit Basket to send them back to the farm. *When you get a persimmon, you can fill all the required number of fruits for 1 round. *Every time you send back a set of fruits to the farm, there will be a big explosion from the Fruit Basket and you'll earn Utah Points. After you deliver 10 rounds of fruit, the Fruit Basket will disappear. You can continue setting up the basket until you hit the daily limit of 15,000 Utah Points. *A Fruit Basket that's been set up will disappear when you move maps. Cooldown for the Fruit Basket is 5 minutes. Summon the*Super Lucky Pig to help you when hunting monsters! Characters Lv. 61 and up can participate by accepting*the '[Cluck, Cluck, Bean] Super Pig Lucky' quest through the star notifier or through NPC Utah in Utah's Cluck, Cluck, Bean Farm map. *You'll acquire the 'Super Lucky Pig' skill when you accept the quest. Use the 'Super Lucky Pig' skill in a map where there are monsters within your level range (20 levels below and 20 levels above) to summon Lucky, and hunt monsters to charge Lucky's super power. *If you input the Super Lucky Pig skill key when Lucky's power is fully charged, Lucky's super powers activate, dealing a great amount of damage to enemies and giving you Utah Points! Earn extra rewards in Utah's Farm by keeping a diary of your events! Characters Lv. 61 and up can participate by accepting*the '[Cluck, Cluck, Bean] My Farm Diary' quest through the star notifier on the left side of the screen. Then complete missions to earn special rewards - each mission's reward can be received once per world. Cluck, Cluck, Bean Farm Life: Title. Stat effects will last until March 19 at 12:00 AM UTC. Grants Weapon ATT/Magic ATT +20, +20\% damage when attacking normal monsters, +20\% damage when attacking bosses, Ignore Defense +20\%, Critical Rate +20\%, Arcane Power +30. Here's where you can spend all your hard-earned Utah Coins from working on the farm! You can access the shop by speaking to NPC Camila. Bonus Occult Cube x10 Package: 750 Utah Coins. Untradeble,*10-day duration. Use to receive 10 Bonus Occult Cubes (untradeable). Eternal Rebirth Flame x10 Package: 2,500 Utah Coins. Untradeble,*10-day duration. *Use to receive 10 coupons (untradeable, 7-day duration). Pure Clean Slate Scroll 10\% x10 Package: 400 Utah Coins. Untradeble, 10-day duration. *Use to receive 10 coupons (untradeable, 7-day duration). Master Craftsman's Cube x10 Package: 900 Utah Coins. Untradeble, 10-day duration. *Use to receive 10 coupons (untradeable, 7-day duration). Typhoon Growth Potion: 3,000 Utah Coins. Use the Typhoon Growth Potion from Lv. 200 - 239 to increase your level by 1. The potion cannot*be used below Lv. 200. If used at Lv. 240 or above, you'll receive a substantial amount of EXP. Cluckhead Coupon: 600 Utah Coins. Use the coupon to obtain a permanent cash cover item. Cluckbottom Coupon: 600 Utah Coins. Use the coupon to obtain a permanent cash cover item. Cluck, Cluck, Bean Coupon: 600 Utah Coins. Use the coupon to obtain a permanent cash cover item.